Creso Pharma (ASX:CPH) today announced that it has now formally launched its new joint venture company with Canadian cannabis investor, LGC Capital Ltd (TSXV:LG), and British brewer, Baltic Beer Company Ltd, to capitalise on the emerging cannabis and hemp-derived beverage markets. This newly formed JV company, which is called CLV Frontier Brands Pty Ltd (CLV), plans to develop and globally commercialise a bespoke portfolio of cannabis and hemp-derived alcoholic and non-alcoholic beverages containing various ingredients, seeds, extracts and terpenes from hemp and cannabis plants. The launch follows on from CPH’s announcement back in November that a binding letter of intent had been penned by the three parties in the formation of this JV company. All parties have now executed a formal binding JV agreement that more specifically details the rights and obligations of each. Under the terms of the joint venture, both CPH and LGC will initially contribute €150,000 (A$228,734) in start-up capital to CLV, and Baltic Beer Company will contribute the equivalent sum by way of services to the company. The JV participants have already identified potential distribution partners in Europe, far East Asia, Central and Latin America, Canada, Africa, Australia and New Zealand. CLV will have vast commercialisation reach spanning multiple continents, leveraging the expansive networks of all three companies. It should be noted here that leading partner CPH is in its early stages and investors should seek professional financial advice if considering this stock for their portfolio. The first action under the JV will be to establish a pilot state-of-the-art R&D brewery facility in Tallinn, Estonia, which will be dedicated for work on innovative recipes and to develop proprietary know-how and IP. 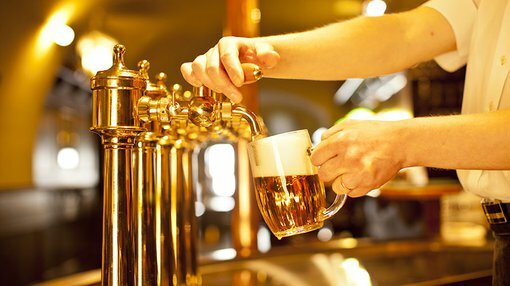 CLV is currently developing an initial premium four-beer range containing unique cannabis terpene mixes, as well as other innovative ingredients. The aim is to ship the first test batch of this initial range in April/May, with plans to commence commercial sales in the third calendar quarter. CLV will also create a vegan line, and there are plans in the works to expand CLV’s portfolio into other alcoholic and non-alcoholic beverages. The JV company will only distribute and market products strictly in compliance with all local and international laws. Terpenes are organic essential oils found in plants that carry flavour and aroma. For example, terpenes give blueberries their unique berry fragrance and lavender its sweet floral scent. At least 200 terpenes have been identified in cannabis, and these molecules are potent and believed to affect both animal and human behaviour. These essential oils are secreted in the flower’s sticky resin glands. Like cannabinoids, terpenes bind to receptors in the brain and give rise to various effects. However, as essential oils and flavouring agents, terpenes raise no safety concerns. They are recognised as GRAS (which stands for “Generally Recognized as Safe”) by the US Food and Drug Administration as well as by the Food and Extract Manufacturers Association and other world regulatory bodies. The beer itself will be designed to have the odour and fragrance of cannabis and hemp, but will not contain any THC or CBD, or any other cannabinoids. The launch of CLV comes at a fast-growing time for the cannabis and hemp-derived beverage market. Consider that in October last year, global beverage conglomerate, Constellation Brands (NYSE:STZ), took a 9.9 per cent stake in cannabis group, Canopy Growth, for a total of US$200 million, in order to develop and market cannabis-infused drinks. 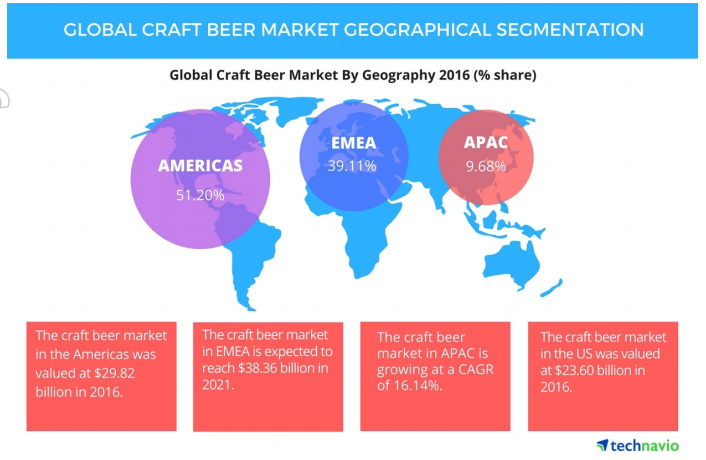 According to Research and Markets, the global craft beer market is expected to grow at a compound annual growth (CAGR) of 11.04 per cent between 2017 and 2021. The European, Middle East and African segments of the market are expected to reach US$38.36 billion in 2021. Furthermore, craft beer market in the Asia-Pacific region is also quickly growing at a CAGR of 16.14 per cent. The UK-based Baltic Beer Company is best known as the producer of multi-award-winning and iconic Estonian pilsener, Viru Beer, which is currently sold in numerous markets around the world including Australia, China, UK, Italy and Mexico. LGC Capital, on the other hand, is a Canadian incorporated company listed on the TSX Venture Exchange which invests in a diversified portfolio of businesses. To date, it has entered into agreements for investments in private cannabis operations in South Africa, Australia and Canada. CLV’s board will comprise Creso CEO Dr Miri Halperin Wernli, LGC Capital Ltd’s John McMullen, and Alex Klaos of Baltic Beer Company, who will oversee the day-to-day operations of the new entity, ensuring product development, growth targets, and distribution reach are achieved. “CLV combines Creso Pharma’s cannabis expertise with the strong global reach of Baltic Beer and the financial strength and global network of LGC Capital,” Halperin Wernli said. “Our approach is to partner with industry and technology leaders to develop and commercialise innovative products which will capture the consumers’ senses and imagination.